Already announced as a feature act at this years Meredith Music Festival, and having sold out their first club show in 21 years, at Melbourne’s Corner Hotel, in under one hour, Sunnyboys are now pleased to announce their first national tour dates since 1991 appearing as special guests to Elvis Costello & The Impostors at a series of A Day On The Green shows. These are to be the only Sunnyboys shows this summer. Also joining the bill are Jo Jo Zep & The Falcons, Tex Perkins and Stephen Cummings. This most cherished of Australian bands responsible for the classics: Happy Man, Tunnel of Love, I’m Shakin’, Alone With You, You Need A Friend, Show Me Some Discipline and many, many more, reformed earlier this year under the alias Kids In Dust for Dig it Up! the Hoodoo Gurus Invitational. An inspired performance and an emotionally charged response lead to an invite from Meredith. This most quintessential of Australian festivals seemed the perfect follow-up to Dig it Up! while the addition of the Corner Hotel will give fans the chance to see the band in a more intimate and sweaty environment. I cried and all the way through the first song of Sunnyboys… then danced and sang for the rest of the day/night… Absolutely brilliant! 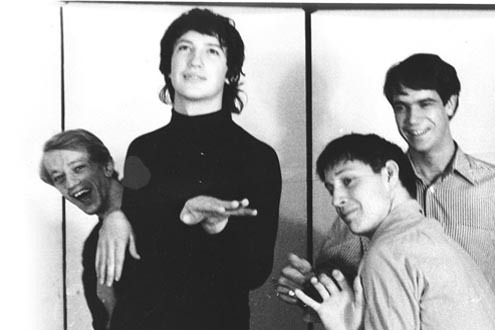 Emotional return from the Sunnyboys. Not a dry eye in the house. They stole the show. Absolutely brilliant. For a dude who was too young to see Sunnyboys first time around, their set yesterday made my day. Sunnyboys owned it! Welcome back lads!!!! SUNNYBOYS!!!!!! – (Audience comments taken from the Dig it Up! facebook page). This is the Sunnyboys: alive and well in 2012.